If you like music you'll dig this news: Apple announced on Wednesday that it's going to host its iTunes Festival in the U.S. for the first time in March. The company's iTunes Music festivals are usually held in London and this mark the firs time it has made it stateside. The event kicks off on March 11 and runs through March 15 during SXSW in Austin, Texas. Bands performing during the event include Coldplay, Imagine Dragons, Pitbull, Keith Urban and Zedd, and Apple promises that more will be announced leading up to the show. You don't have to make it there to enjoy the event, either. Apple will stream the concerts online through iTunes, so you can watch your favorite bands perform from your Mac, iPod touch, iPad, iPhone, your PC or your Apple TV. "We're excited about this incredible lineup of artists performing and SXSW is the perfect place to debut the first iTunes Festival din the U.S.," Apple senior vice president of Internet Software and Services Eddy Cue said. 9to5Mac said that tickets aren't available to everyone, and instead you have to apply for them through a lottery and just hope you get picked. The application is free, however. 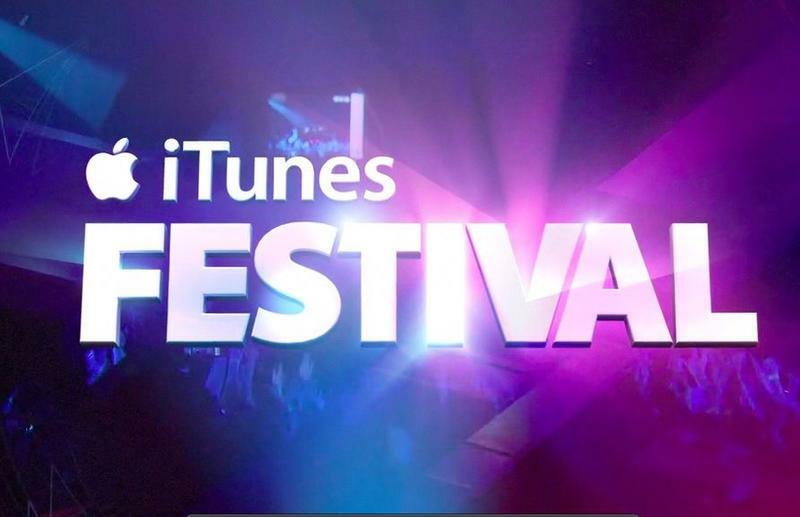 Apple Announces iTunes Festival Coming to SXSW―Five Amazing Nights, Five Amazing Shows CUPERTINO, California―February 19, 2014―Apple® today announced the first iTunes® Festival to be held in the US, featuring an amazing lineup of global superstars, running from March 11-15. Taking place at ACL Live at the Moody Theater, home of Austin City Limits, the iTunes Festival at SXSW will feature iTunes chart toppers including Coldplay, Imagine Dragons, Pitbull, Keith Urban, ZEDD and more to come. All five nights of the iTunes Festival will be available to enjoy for free as a live and on-demand stream via the iTunes Store® on your iPhone®, iPad®, iPod touch®, Mac® or PC. Performances can also be seen in the iTunes Festival app on your iOS device or with Apple TV® in stunning HD. At the iTunes Festival in London over 400 artists have performed in front of more than 430,000 fans and tens of millions more online. Performances are available for purchase and download on the iTunes Store. For additional details on the lineup for the iTunes Festival check out www.itunes.com/festival.